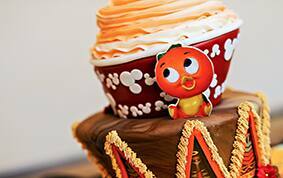 Today's delightful Orange Bird cake was inspired by the cheerful bird who originally greeted families at the Sunshine Tree Terrace in Adventureland at Walt Disney World. 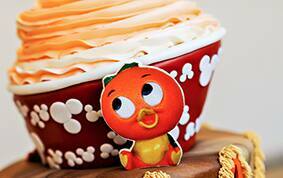 Developed by Disney and the Florida Citrus Commission in the 1970s, this adorable character is as sweet as can be! 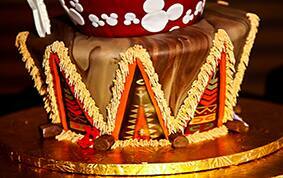 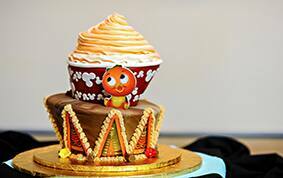 The cake's bottom tier pays homage to the Sunshine Tree Terrace's thatched roof, while the top tier is a nod to another sweet treat "“ the Citrus Swirl. 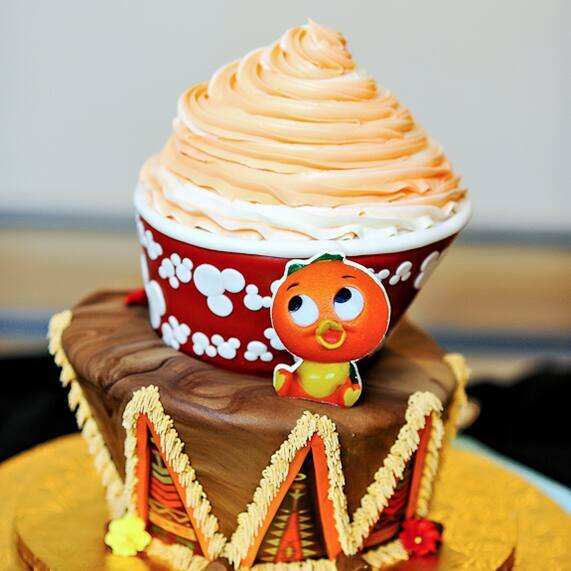 Perched between the two tiers, Orange Bird is ready to greet this couple as they embark on their happily ever after.